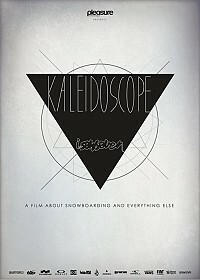 Kaleidoscope will be released end September 2011 and will be available worldwide. The DVD comes with the full length feauture film, an one hour bonus travel movie, loads of bonus parts and a DVD booklet. The companies that made this project possible are Pleasure Magazine, Burton, Nike 6.0, Foursquare, Oakley, Head, DC, Volcom, Ride, Zimtstern, O’Neill, Vans, Fiat Freestyle Team, Planet-Sports, Snowstyle.